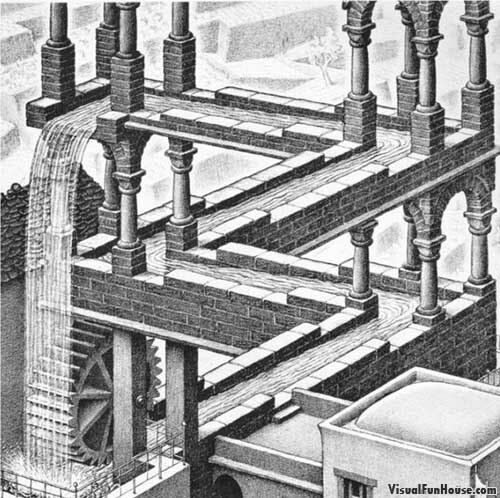 The Escher waterfall Optical Illusion is composed of two beams that rest upon each other at opposite right angles. Escher drew his diagrams in such a way that you could not see a single mistake yet it dose not make sense logically. 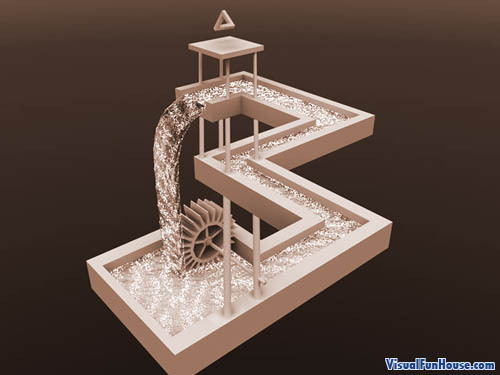 The water wheel is powered by the falling water, then it flows up to the top and back down to the wheel. Below is Eschers original waterfall diagram followed by a few recreations, even one created in Lego!